Emergency Dentists USA has you covered when it comes to finding the right Odessa, Texas emergency dentist when you have a terrible toothache. From after-hours clinics that provide excellent care even on the weekends to terrific dentists with office appointment designed to suit your needs, Emergency Dentists USA shares the best of Odessa with you. Emergency Dentists USA also provides a friendly 24-hour emergency hotline that connects you directly to a caring professional who helps you to choose the best emergency dentist for your dental emergency and even assists you in making an appointment. Glad I found this site when I did, saved me a whole lot of headache when my dental pain was more than I could handle! The variety of Odessa emergency dentists on Emergency Dentists USA makes it simple to choose a great dentist, regardless of your type of dental emergency. Some of the different types of clinics area walk ins, after hours and 24 hour clinics. Walk-in dental clinics are clinics that allow patients to walk in without an appointment are tough to find. Odessa does not have any emergency 24-Hour dental clinics, but the hospital emergency rooms do offer fast service for anyone with a dental problem regardless of the hour. After hours clinics are regular dental clinics that are open after normal business hours. Music City Mall Dental, Precious Smiles Dentistry and Odessa Family Dental all offer Saturday hours for patients with a weekend dental emergency. Emergency Dentists USA shares the best Odessa emergency dentists with you so that you can make a great choice when it comes to your emergency dental care. Our convenient listing of emergency dentists provides driving directions, telephone numbers, and a listing of services available at each dental clinic. Description: Call our Odessa referral service Emergency Dentists USA phone number and get connected to an emergency dentist in Odessa, TX in seconds! We provide a service that will get you to the dentist that fastest and easiest way possible, you can call us 24 hours a day, 7 days a week and its 100% free! Description: Music City Mall Dental is an office that open for your convenience on Saturdays from 9AM until 5PM, and on Mondays and Tuesdays until 8PM. Staying open after hours is excellent for those who work late during the week. Whether it’s the need for something serious such as an extraction or a routine cleaning, the staff here will be able to greet you with a smile. Description: Precious Smiles Dentistry is a great clinic that is open for you on weekdays until 7PM, and has a reputation for excellence and compassion. Even if you have dental anxiety do not be worried about your appointment, you will find the best of imaginable care here. Description: Odessa Family Dental is a perfect dental clinic if you have an emergency for a number of reasons. First off, their hours are very favorable. Secondly, they perform just about every oral procedure or fix you can possibly think of. Thirdly, they have a great location in the Sherwood Medical Plaza. Description: With four doctors working at this practice, you know that you will get taken care of quickly. However, perhaps the most attractive thing about Kool Smiles is the flexible hours they offer by staying open on Saturdays in order to better serve their patients. Description: Aspen Dental is located off of Highway 191 in Odessa, and stays open Mondays until 8PM for those with very busy schedules. Whether you need routine work or something extravagant like a root canal, the staff here is able to see to your needs amazingly well. The folks at Aspen are known for their commitment to care and excellence! – A visit to your Odessa emergency dentist is very similar to a visit to your regular dentist. Emergency dentists provide routine dental services like cleanings and x-rays along with more complicated emergency procedures. – Gather your dental health records, paperwork, and health history to bring with you to see your Odessa emergency dentist. These records help your new dentist to choose a treatment plan that benefits you. – Try to arrive at least 15 minutes prior to your dental appointment to fill out paperwork and ask any questions that you might have regarding your upcoming procedure. – Let the Odessa dental office know how you plan to pay for your dental services. Most Odessa dental clinics accept cash, personal checks, credit cards, and even offer low-interest payment plans for dental services. – Ensure that your dental insurance is accepted by your new dentist. Choosing a dentist in your dental insurance network could save you money. – Let your Odessa emergency dentist know if you have allergies to any medications. Bring a current list of your medications to the dental visit. Some common dental emergencies that are treated by our Odessa emergency dentists include lost fillings, loose or lost crowns, or broken brackets or wires on your braces. You might also encounter a dental emergency like a broken tooth, a chipped tooth or a tooth that has been knocked out. Most common dental emergencies are treated right in the Odessa emergency dental clinic with a professional dentist and a friendly dental staff who are standing by to make you comfortable as soon as possible. 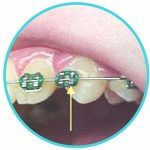 Broken or loose braces and wires are a common dental emergency for patients with braces. If you have a broken wire, use the eraser end of a pencil to push the wire into a comfortable position in your mouth. Never cut the wire completely off of the braces. Cover the sharp end of the wire with a cotton ball or a small amount of orthodontic wax, and visit your Odessa emergency dentist as soon as possible to repair the braces and wires. Use orthodontic wax to anchor any loose braces until you are able to visit your dentist. A chipped or broken tooth is definitely a common dental emergency. If you are able to find the pieces of the tooth, bring them with you to visit your emergency dentist. Use a moistened piece of gauze or a moistened tea bag to stop any bleeding associated with the chipped or broken tooth. You can also apply a cold compress to the outside of your mouth to lessen any swelling and reduce the pain associated with the broken tooth. 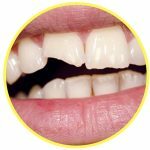 Tooth trauma that is caused by an accident should be addressed immediately by an emergency room physician. This ensures that you do not have life-threatening injuries and you can then follow up with an emergency dentist for the actual tooth repair. If you have bleeding due to the tooth trauma, use a moistened piece of gauze to apply pressure to the bleeding area for at least 10 minutes. A cold compress can be applied to the outside of the mouth and lips to lessen the pain and swelling associated with tooth trauma caused by an accident. You might need an emergency tooth extraction if your tooth has decayed severely. If your Odessa emergency dentist is unable to repair the tooth, he or she might choose to perform an emergency tooth extraction. It is important to have the extraction completed as soon as possible to avoid any complications that might include an infection. The procedure begins with an x-ray and examination of the tooth. The dentist then chooses a general or local anesthetic so that you remain comfortable throughout the extraction. A special tool is used to pull the tooth out of the gum, and the gum is sewn closed using sutures that dissolve over time. A piece of gauze is placed over the area to control any bleeding following the extraction. Following your emergency tooth extraction, you should take any medications as directed by your Odessa emergency dentist. Avoid eating hard foods or drinking through a straw for at least the first few days after the procedure. Try to avoid smoking or drinking alcohol until the gum is fully healed. This process generally takes one to two weeks. Your dentist might choose to replace the tooth with a dental implant or a dental bridge depending on the tooth location. Visiting your hospital emergency room is a great idea if you have a tooth emergency that stems from a fall or sports injury. The emergency room physician is able to ensure that you do not have injuries that could be life threatening. For common dental emergencies that do not involve an accident or other injuries, an emergency dentist is your best choice for treatment. An emergency dentist in the Odessa area is generally less expensive than a trip to the emergency room, and many emergency rooms are not equipped to perform actual tooth repairs. This means that after your examination by the ER physician, you will have to visit a dentist as well. A toothache, broken tooth or lost filling can be treated easily at an emergency dental clinic with very little wait time. 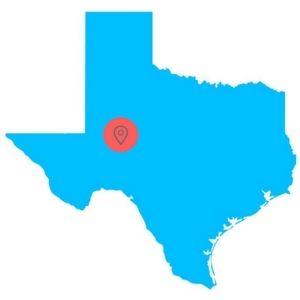 When you choose a new dentist in Odessa, it is important to ensure that he or she is licensed and certified to practice in the state of Texas. You can access the American Dental Association website located here to check out your new dentist. The Texas Dental Association website also offers great information about local Odessa dentists and dental care that can benefit your family. This Emergency Dentists USA portal is a website for information only, and should be not used to replace the actual advice of a medical professional. If a patient is having an emergency and cannot reach a dentist, call 911 to assure immediate response and safety.